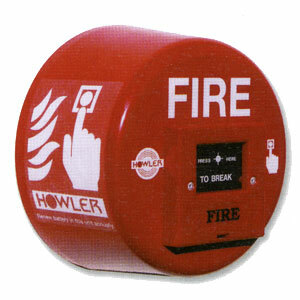 The Howler Heavy Duty Site Alarm is built for use in harsh environments. The heavy duty range of site alarms boast many unique features such as having all the working parts protected within a heavy duty aluminium body. These alarms offer a semi-permanent solution for awkward applications. Incorporates a resettable conventional call point, the HMCP model prevents unauthorised silencing of the alarm in an emergency situation. Supplied with two resetting keys.